One of the questions I am asked most frequently by my clients is how to write a business plan. I decided to compile the advice I give into a blog post to help aspiring entrepreneurs get started – first with a few quick tips to keep in mind overall, and next with a breakdown of the sections any good business plan should include. 1-KISS It – In other words, keep it short and simple! Often people are intimidated by the idea of writing a business plan because they have the idea that it’s going to be a long and complicated process – but that couldn’t be further from the truth! A good business plan, especially for a startup, is going to be twenty pages or less. If you have more to say than that, you may want to work with a business coach to help you simplify your plans and become more precise in the language you use to describe what you’re doing. Many people ask me HOW to write a business plan, but fewer people ask me WHY – and the answer to this question provides a crucial aspect in knowing how and what to write. Firstly, your business plan may be used to outline your operations for potential partners, investors, managers or mentors. Although you may have advanced technical knowledge of your field, it’s quite possible that you’ll be showing your business plan to someone who may have valuable skills in other areas of business, but who lacks your specific industry or technical training. For that reason, imagine you are writing this business plan for an AP English class in high school – in other words, it should (of course) sound clear and professional, but also be simplified enough that any intelligent person with a general education can follow it. Pro tips: Ask a friend who is NOT a colleague to read your plan, and then talk to them about the plan to see if they understand what you wrote – in fact, ask two or three friends! It should also go without saying that your document should be edited for grammar and spelling. Even the best writers will occasionally make typos. Secondly, your business plan will frequently be used by YOU. This is a document you will go back to time and again, both to remind yourself of your vision and direction as well as to re-evaluate your operations vis-a-vis current market needs. Keeping in mind that you will want to be able to quickly refer back to your work, do yourself the favor of breaking out each section with clear, bold headlines, and edit down everything you want to say into concise summaries at the top of each section, with elaboration (if it’s even needed) below your summary. Your business plan should start with an Executive Summary. When most people approach writing their plans, they think they need to write the executive summary section first, and get stalled out by trying to summarize what they haven’t yet written in full. One of the reasons for writing a business plan is that the process helps you clarify your vision – you my discover things during thr writing process that you didn’t have in mind before you started. That’s another reason why you should wait until the end to summarize your plans. Capture this basic structure outlined below, but don’t feel locked into writing in a linear fashion. Start by filling in whichever sections you are most drawn to write about first. Feel free to jump around, knowing you are almost certainly going to come back in fill in more details of a section later. Once the body of your business plan is complete, write your executive summary last, like adding the whipped cream and cherry on top of your finished document. You’ll definitely want to include most of these sections, but feel free to add, subtract or mix around the sections in whatever way best suits your unique needs. One page or less that hits on the main components of your plan: who you are, what market need you are filling, and how you’re going to fill it. A deeper look at why you are passionate about filling this particular market need. This is also an excellent place to articulate your values and how your company will embody them. Will you be a corporation, LLC or sole proprietorship? Who will own the company? Who will be your chief decision-makers? Are there opportunities for partnership or investment in your business? This can segue with the section above. Think of this as your longer-term plan for how the business will be structured. What (if any) departments will exist? How will the departments be managed, and who will make decisions for or within each department? How will you set and evaluate performance goals? How you will select, compensate and promote your team? I would like to encourage all entrepreneurs to use this section as an opportunity to question your own personal values – what do you believe is successful about existing business paradigms, and what would you like your business to do differently? For example, do you want to replicate a hierarchical leadership style, or develop a system for relational leadership instead? If you have moral qualms about racial and gender bias in the way people are hired and compensated, what specific measures will you take to ensure these biases are not replicated in your business? This describes in more detail the products or services you will provide, who you will provide them to, and how you will provide them. This is also a good place to decide whether you intend to establish a physical location for your business, or if your business (especially if it is service-based) will be virtual or location independent. Who (if anyone) is already in business meeting your market need? If you answer “several companies” then how do you know there is still a need for additional companies in your sector? What will you do differently that isn’t already being done? If you answered “nobody” then how have you validated your concept? How do you know people will even want what you’re trying to sell? How much do you have set aside to invest in starting your company? What will your initial expenses be? 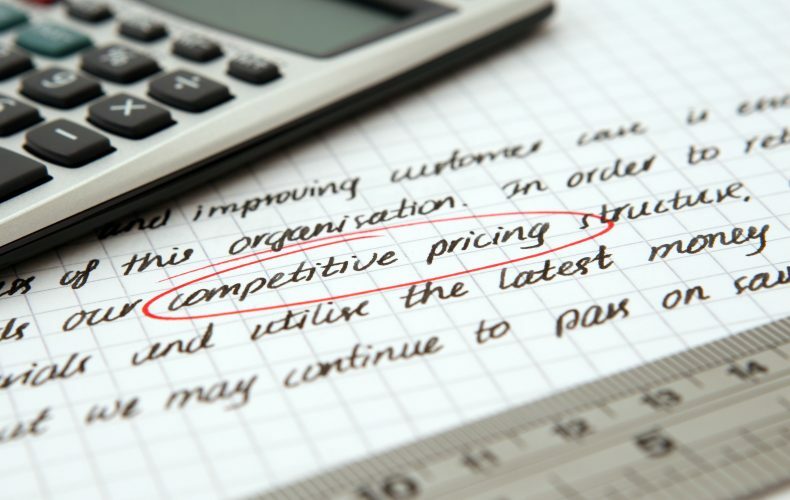 How are you pricing your products or services? What is your timeline to profitability? What are your milestones and longterm financial goals? If you are seeking investors, how will they realize a return on their investment? What is your receivables timeline (especially if you are a service-based business)? Map your accounts payable timeline to your accounts receivable – how far into the red will you go (if at all)? If you need to fill the gaps between these two, how much “cash on hand” do you have set aside to cover expenses, and how much debt are you willing to incur? Describe any market research you have done to date. What do you know about your target audience? What do they need? How will you intersect their needs with your products or services? How will your company values be reflected in the development of your brand? What is your company ethos, and how will that be articulated in your marketing? Also include specific tactics you will use, such as digital community building, paid advertisements, in person promotions and more. A good business plan will outline the phases of your growth, including the evolution of your business structure, marketing plans and revenue targets for the next 3-5 years (at least). Be sure to include milestones within your timeline, so you can gauge whether or not you are you are on track for meeting your goals. Keep in mind that your timeline can always be adjusted – in fact, it almost certainly will be! If I have forgotten a crucial aspect of how to write a business plan, or if there is another section that should be added to this list, please let us know in the comments! Increasingly often, I find myself writing or saying things that sound positively surreal – as if one of my college seminars on the history of the Soviet Union got mashed up with a digital dystopia. Occasionally I check the mirror to make sure I’m not wearing a tinfoil hat. Writing this article is one of those times. I want my Bijou community to make the most informed and empowered choices possible, but I am self-conscious about sounding paranoid or extremist. For these reasons, I’ve decided to go ahead and compile my findings & recommendations into a blog post, while also substantiating my claims with “legitimate” news sources. Once the information is yours, you can decide what (if any) actions you want to take. Due to the sensitive nature of this topic, I don’t want my position to be misconstrued, so please allow me to state very clearly – I do not support or encourage illegal activities of any kind. I only support and encourage organizational and business activities which are peaceful, legal and ethical. The topic of this blog post is how to protect your business or organization against government overreach – or more specifically, how to protect your online presence – when everything you are doing is peaceful, legal and ethical. 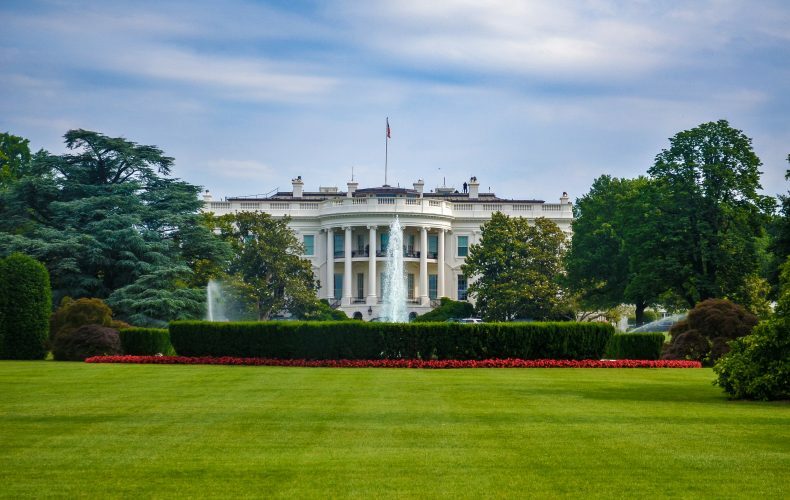 Although the examples I will cite are largely centered around the activities of the United States government, the topics covered here are relevant for people in many other nations. In fact, even if your activities are completely legal in the country in which you reside and have registered your business, if you have any customers located in the United States or another surveillance state, you may very well be affected by legal practices in any country where you do business. I will cite legal precedent for this as we get further into the article. Before citing specific cases which illustrate why the topic of this blog post is important, let me first walk you through some technical points. When most people set up an online presence, they just think about the end result – their pretty website or their social media accounts. In reality, your web presence is the end product of a long chain of component parts. In order to protect your business, every link in the chain of your online presence must be strong. A vulnerability in any one link could allow you to lose control of your entire business. The first link in the chain starts with ICANN – the Internet Corporation for Assigned Names and Numbers. They are a non-governmental organization whose job is to “manage the internet” – specifically, they coordinate internet protocol (IP) addresses and our global domain name system (DNS). The words after the // and between the dots are your domain name. In this case, the “www” is the sub-domain, “example” is the second level domain, and “.com” is the top-level domain (TLD). ICANN is responsible for deciding what words or letter sequences are allowed to be used as a TLD, and who gets to use them. Each country is assigned their own two-letter TLD (for example, .us or .uk or .fr) but there are also many abbreviations and words which are available as generic / international TLDs. Once ICANN has decided to allow the use of a TLD, they will give permission to a company to serve as the “manager” for that domain. For example, Verisign is the company which manages the famous TLDs .com .net .edu and .gov – an important point which we will discuss below. A private company can apply to ICANN to create and release a new TLD and then be assigned as its manager – for example, Google manages .how and .meme and Amazon manages .pay and .prime. Additionally, many private companies “speculate” on what TLDs may become popular, and exist only to earn money on licensing those domains. Once a company has become a manager for a TLD, it sets the price for what it wants to charge for the domain and then authorizes domain registrar companies to broker the licensing to end users. A few well-known examples of domain registrars are GoDaddy and HostGator. The domain registrar decides how much of a brokerage fee it wants to charge on top of the manager’s baseline fee, which is why the same domain can cost more to register on one site than it costs on another site. Once you have chosen an available domain name and leased it, then you have to decide where to host your website. You can also set up customized email accounts using your own domain name, such as mary.smith@example.com – your website host might also offer email hosting and webmail, or another popular choice is to use G Suite (formerly Google Apps) to host your customized email on the Gmail platform. Next, you will probably want to start building a mailing list, and sending your contacts a newsletter using a system such as MailChimp. Alternately, you may choose to reach your customers using a more sophisticated “Customer Relationship Management” (CRM) system, such as Infusionsoft, Salesforce, Hubspot or ProsperWorks. Lastly, you’ll most likely establish a social media presence, such as a Facebook page or group. Now that we’ve walked through the entire chain, soup to nuts, of what it takes to have an online presence – let’s go back through the list and discuss the vulnerabilities one by one, starting with your top-level domain (TLD). As we discussed, several of the most popular TLDs such as .com and .net are managed by Verisign, a company based in Virginia, United States. Why is Verisign’s location significant? Because if you are using a domain name ending in .com, then even if you are NOT a United States citizen, NOT residing in the United States, and your business is NOT registered in the United States, your business can still be affected by the laws and practices of the United States federal government. Without warning and without a trial, the website suddenly went dark, displaying only a notice about the seizure along with the official seal of the DOJ & Homeland Security. In an instant, the legal business of four Canadian citizens was shut down without due process of law. How is that possible? Because the website was using a .com address, which allowed the DOJ to petition a magistrate judge for a “seizure warrant” which they then took to Verisign, which was legally obliged to revoke Bodog’s domain registration. Without a domain, the entire chain was broken, and their website went dark. Bodog’s story is not unique, or even uncommon. In 2008, the “Prioritizing Resources and Organization for Intellectual Property Act” (PRO-IP) was passed by the United States Congress, and signed into law by President Bush. During the administration of President Obama, PRO-IP became the legal foundation for Operation in Our Sites, which has seized thousands of domains for websites accused of copyright infringement. Notice I say “accused” not “convicted” – again, all that is necessary for the domain seizure to take place is a warrant issued by a magistrate judge. In another notable case, a website belonging to a Spanish company was seized by the DOJ, even after a court of law in Spain found that they did not violate international copyright law. (Source: Electronic Frontier Foundation.) One “justification” for this seizure was that the website’s discussion board contained hyperlinks to copyrighted material – obviously a very difficult circumstance for the website owner to monitor and prevent (and an awfully easy way for a website to be targeted, it’s also worth noting). The proverbial slope, it seems, is slippery. Under the current administration, the rights guaranteed under the First Amendment have eroded even further. Until recent times, Americans considered the act of protest to be a fundamental aspect of their culture – something not only permitted, but actually celebrated. Unfortunately, the culture has shifted considerably, making civil protestors not only socially suspect, but also legally vulnerable. This search warrant was not merely a creepy act of surveillance, it was an evidence-gathering expedition, and the information obtained from these warrants is being used in cases against more than 260 inauguration protesters, all of whom are facing more than sixty years in prison on “trumped up” charges. Although DreamHost, the California-based web hosting company served by this warrant, tried to resist, unfortunately they were compelled to hand over the information. This case began in January 2017, but facts about the case did not begin to emerge until October, thanks to a “gag order” on the court proceedings. I don’t think it is a stretch to wonder whether and how many other, similar cases are currently in process but unknown to the public by virtue of their own gag orders. So, how can someone protect their website (as well as their site visitors) from the whims of an overreaching government? It may not be entirely possible, but I certainly intend to implement the strategy I am developing, just for good measure! 1-Do not select a domain whose TLD is .com, .net or any other TLD managed by a company in the United States. For that matter, you may want to select a TLD managed in a country with ironclad privacy and free speech laws. If you are currently operating with a .com and you don’t want to confuse your customers, it’s possible to build your site on a “safe” domain and then run a domain mask or place a 301 redirect, so that your site is still “findable” to your customers or constituents. NB: I’m making a mental note to write a post on how to maintain your search equity when using website redirects, for those who may be relying on SEO for web traffic. If you’re planning to implement a redirect before I write the blog post, please please please seek out reputable guidance, or you could botch your rankings and tank your traffic. 2-Once you have selected your domain and verified that it is available, again – choose a domain registrar in a country whose laws will protect you from domain seizure. 3-Once you have selected and registered your domain, choose your website hosting company carefully. Many companies may be based outside the United States or other surveillance states, but they may have business offices or servers located within its jurisdiction. If your data lives on a server inside the United States, then it is subject to United States search & seizure warrants. 4-Tempting as it may be to use G Suite, just don’t. Google hands over data for 94% of US law enforcement requests, which number in the thousands. (Source: Forbes.) Note that these are merely requests, not demands backed by a warrant. Again, select an email host based in a “safe” country, and make sure your email data will not be stored on a server within the United States. 5-Full disclosure, this is the point at which my strategy reaches beyond protecting against government actions with existing legal precedent (at least as far as I am aware of), and is merely seeking to protect against a logical extension of current activity. However, the email database and customer relationship history of a business or organization is its lifeblood – if this suddenly disappears, it would feel like being cut off at the knees. If you’re going to take the time to protect other links in the chain of your digital presence, why not protect this one as well, and select a newsletter management or CRM system located in a safe country? 6-Social media. Welp. There’s not a lot you can do here. Facebook, Twitter and Instagram can and WILL shut off your account without warning and with dubious justification. You have to be aware that when you invest time and money in building a social media presence for your business or organization, you’re essentially throwing a party in someone else’s house, and you don’t make the rules. Social platforms can treat you and your guests however they want. They can kick you out whenever they want. They can allow you to build up a sizeable audience, then suddenly start charging you shocking amounts of money to continue reaching them. They can take all the data they have for not just you, but for every single person who has followed or interacted with you, and hand it right over to the government – and they might not even tell you when they’ve done it. They can and DO also sell that data to private companies. These are the rules of the social media party. You can’t afford NOT to party in their house, but you also can’t afford to be naive. My first suggestion: tie absolutely ALL your social media efforts back to developing direct leads (email addresses and ideally mobile phone numbers as well), so that if & when your accounts go dark, you can still reach your constituents. My second suggestion: don’t feel responsible for protecting the information of every person who interacts with you on social media. Everyone who shows up at that party is self-responsible for knowing the house rules, and choosing their behavior accordingly. Now that I’ve mapped out the strategy, how am I going to implement it? Lastly, although these countries do not have hostile relationships with the United States, neither are they deeply enmeshed or dependent on the United States, politically or financially, making them less vulnerable to be pressured into cooperation. I am also considering creative options with generic TLDs managed by companies situated in similarly “strong” locations. Once I have selected my new domain name, I am going to register it with a company based outside the United States’ sphere of influence. I have been using New Zealand based OnlyDomains as my registrar for almost a year, since I first decided to break up with GoDaddy for reasons having nothing to do with domain seizure (and everything to do with the fact that they are just a sleazy company). Like many divorces, this has been an expensive endeavor, and it’s taking far longer than I’d like. Expensive why? Because when you register a domain, usually you pay $10-$20 per year (sometimes much more), and possibly you’ve registered your domain for up to five years in advance. If, like me, you’ve registered dozens of domains for multiple years, then it’s not going to be fun to lose your investment by re-registering them all again with a new company, and paying for them a second time when you make the move. I opted to save some money but to drag out the divorce – meaning I moved my most crucial domains to OnlyDomains immediately, and then I waited for each remaining domain to come up for renewal before moving it away from GoDaddy (when I’d have to pay for them again anway). Now that the year is nearly done and I only have three domains left to port over, it’s fairly annoying to think about moving away from OnlyDomains to another company. New Zealand IS a “strong” choice for all the same reasons that recommend Iceland and Norway, but they appear to have a corporate office in Washington, DC as well as several North American servers. Before deciding to stick with them or to move away, I am going to do further research and verify their policies and actual business locations. In the meantime, I have been looking for alternative companies, and I have found one located in Iceland called “OrangeWebsite” that appears to cater to an international audience looking to move their data to a “safe haven” location. One of the things I like about them is that they request minimal information from you, and don’t store any more personal data than they have to – meaning that even if an Icelandic judge decided to honor a search warrant from the United States, OrangeWebsite simply would not have much information to hand over, anyway. Another contender for my business is RunBox, based in Norway – but unlike OrangeWebsite, they also have servers in the United States. They claim you can request to keep your data stored exclusively in Norway, but I am curious to know whether a private company would really risk its ability to continue doing business in the United States, just to take a moral stand and protect a customer’s privacy, free speech and property rights. I’d like to think the answer is yes, but I am also cynical enough to wonder if that’s a bet I’m willing to make. It’s important to note that all three of these companies offer almost everything I need for my online presence: they offer domain registration, website hosting, AND email hosting. Which leads me to my next dilemma: deciding which web host to use. I have been using SiteGround, based in Bulgaria, for two years, and I absolutely adore them. SiteGround has a user-friendly website, amazing customer service, great hosting options with great prices (and no tricksy upsells), exceptionally better site load time & very little downtime (compared to hosting with GoDaddy, where my sites were slow as molasses and blinking out literally every week). I love SiteGround, and I truly don’t want to leave them. However, they have a data center in Chicago, and even if I opt to have my data moved to their servers in Amsterdam, with no data protection policy in place there’s no way for them to guarantee me they won’t mirror my content on their US-based servers (a common practice called “redundancy” which usually protects data, but which in this case ironically could hurt it). Additionally, Bulgaria is both a member of the European Union as well as a much closer partner with the United States than, say, Iceland, making me think Bulgaria may not wish to evoke the ire of the United States by refusing to comply with a search or seizure warrant. As with hosting, I am similarly crushed beneath the weight of realizing I need to transfer my Bijou email away from G Suite and over to a protected company. (What the bleep am I going to do with my Drive folders and documents?! Weaning myself off the Googlehol will not be easy.) Of the options, RunBox appears to have the strongest email service – but again, it’s a dilemma to me whether to trust a link in my chain to a company with any kind of business presence in the United States. Lastly, I need to make a decision about my newsletter database and CRM system. I’m so in love with the simplicity and ease of use provided by MailChimp, which is perfect for my business right now – and when I am ready to upgrade to a CRM system, I know and love Infusionsoft as well, and have always imagined they would be my next choice. Alas. The good news is, I have found a company called SuperOffice, based in Norway, which offers an “all in one” CRM with marketing email campaign capabilities built in. I am definitely excited to sign up for a free demo and see what their system is like to use. At only $55 per month, they are significantly less expensive than Infusionsoft – so I am very curious to see how their capabilities stack up (the website looks promising). I hope it is abundantly obvious, but just in case it’s not, let me conclude: nothing in this blog post is intended to promise or guarantee an outcome, nor was it intended to provide legal advice. As is the case with any business practices you choose to implement, you select and use any of these strategies at your own risk. Was this helpful? Pass it on! Still confused about anything? Leave me a note in the comments! Are you interested in a group training or course on how to take these steps? If so, please drop your contact info in here, and you will be the first to know when this becomes available! October is National Women’s Small Business Month, a chance to recognize and celebrate the 11.3 million women-owned businesses in the US. While the 45% increase in the number of women-owned businesses in the US since 2007 is a cause for celebration, women still face gender-specific challenges when setting up their own businesses, from defying social expectations and owning their accomplishments to achieving the right work-life balance. 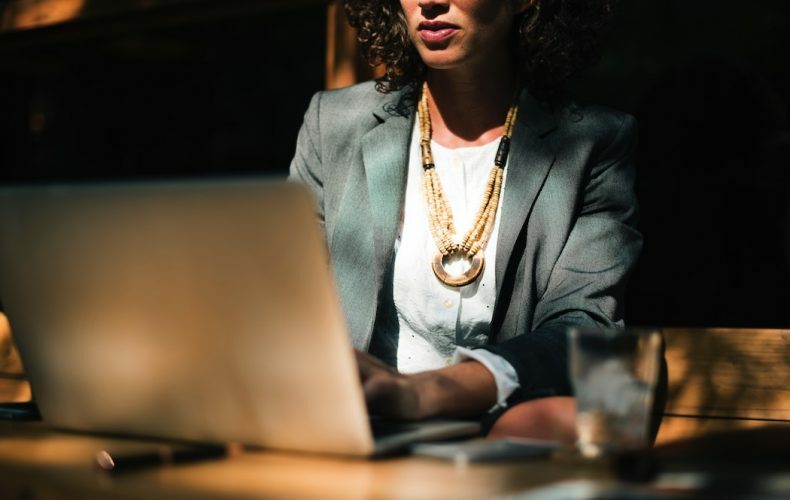 The essential resources listed here will help women small business owners find the support and community they need to develop and grow their businesses. 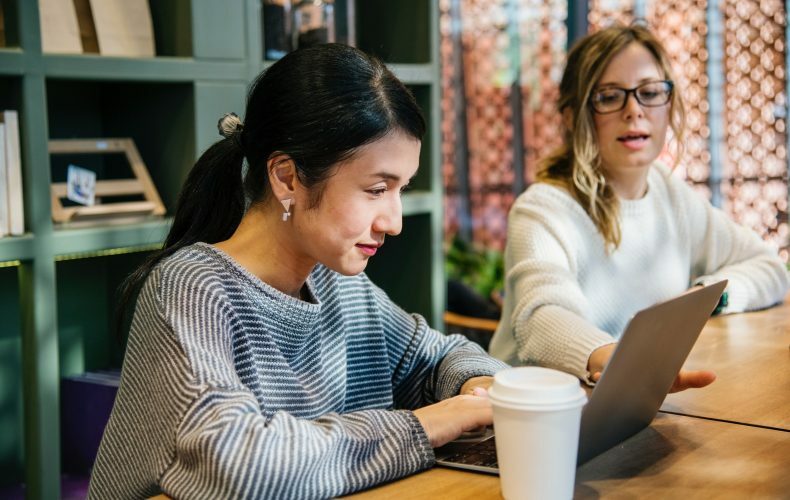 Co-working spaces have traditionally been male-dominated environments, but women-only spaces have been popping up everywhere to empower women entrepreneurs and welcome them into a community based on support over competition. Entrepreneurship can be a lonely journey, and co-working spaces are a fantastic way to meet other like-minded women who will inspire you, encourage you to accomplish even more and celebrate your big wins. Here are some fantastic female-focused co-working spaces built around a strong community in the US and abroad. 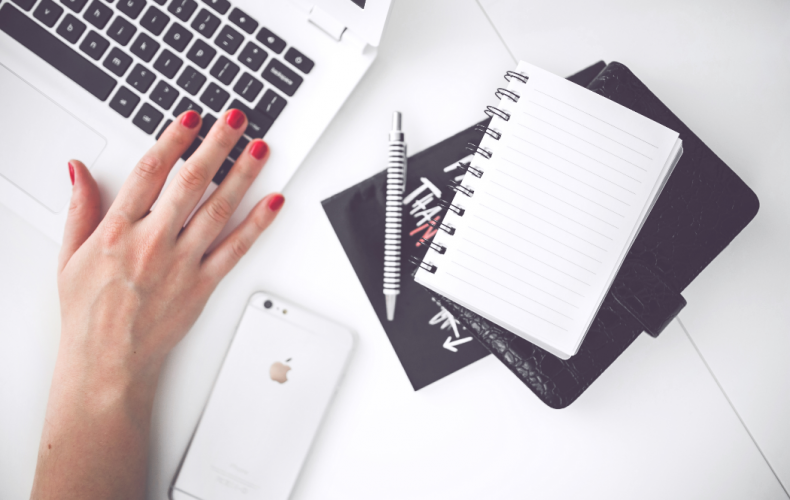 There are many useful blogs run by women who want to share their experience, tips and advice on setting-up, growing and successfully running your business. Great for various tips and tricks! Who doesn’t love an honest podcast full of inspiration and advice for a good start to the day? The podcasts listed below focus on the challenges of setting up and running your business as a woman without ever being patronising or condescending. As many of you know, life threw me a curveball this spring in the form of a surgical accident that has slowed me down, to say the least. I am currently recovering in the hospital as I write this – my third stay since the accident occurred in March. Although I have been doing my best to keep my chin up and to remember this is a temporary setback, occasionally I have to admit that I – like any human – have been known to entertain self defeating thoughts for a moment or two. Last night, my thoughts turned into a small pity party of regret, thinking about the impact I wanted to be making this spring, at a time when “service to the greater good” is so needed. If you have peeked through the Bijou portfolio, you might recall that Orchid Project was a client of ours for several years. When I saw this tweet last night, not only was I celebrating the continuing efforts of a client whose work I still wholeheartedly support, but I was touched by what I saw in the foreground of the photo, on the table: several printouts of the infographics that Bijou created for Orchid Project in the summer of 2012! I’m not writing this post just to toot my own horn – I’m writing it to share a universal message: when you invest yourself into purpose-driven work, you have no idea the amount of impact you will make. 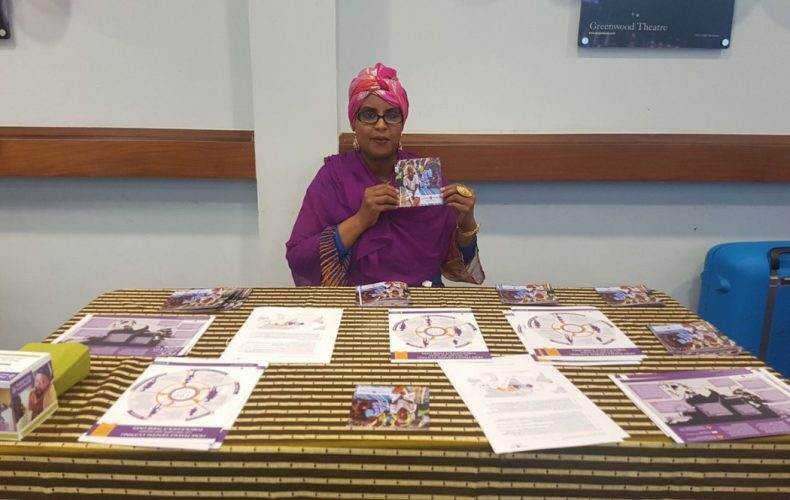 In the nearly five years since we created them, Orchid Project has used these infographics in incredibly impactful ways: they were used in a speech to the House of Lords which influenced a major policy shift and financial investment by the British government, they were used in a presentation at SXSW, they were shared on social media by influencers such as UNICEF, and apparently they are still being used today to educate and inspire change. Even in the times when we cannot predict or measure our impact, we need to show up for our passions and do our best work anyway. We also need to put to bed the thoughts that “we’re not doing enough” – if we can take an honest assessment of ourselves and say we keep showing up in the best way we can, then it’s simply not for us to judge whether we are “enough” – our best is our best, and that’s always enough. Few of us will make celebrity headlines, but all of us are contributing a crucial thread in the human tapestry. The point isn’t to make a perfect splash right out of the gate, the point is to be pushing up against our own edges, wherever they lie –always to be refining our approach and expanding our capacity for positive action. Your internet privacy took yet another hit when Congress voted to make it legal for your internet service provider (ISP) to sell your browsing history, and President Trump signed the bill into law two days ago. Regardless of whether you clear your browser history or search the internet in stealth mode, neither of those tactics will prevent your private user information from being sold for profit – they only affect what is stored locally on your computer or devices (I hope it goes without saying that your activity on a mobile phone or tablet is included in this conversation), not what your ISP is watching and logging. That doesn’t mean you are helpless to protect yourself! Here are three strategies to consider, which may help you protect your individual, company, and client data. This is something you should be doing anyway, if you like to work in coffee shops or if you travel for business (and especially if you’re a digital nomad, and probably doing both). In simple terms, a VPN acts like a bridge between you and another location. The information that passes over the VPN bridge is encrypted, meaning it’s difficult or impossible for your information to be seen or recorded. VPN services come with different features, different levels of encryption, and (of course) different prices. If you are looking for comprehensive information about how to select the right service for you, this article by How To Geek is your best bet. Tunnel Bear is a good option for travelers. It has free and low-cost options (plus adorable branding). Surf Easy offers bank-grade encryption and affordable monthly or annual pricing. Strong VPN might be overkill for casual users, but they offer robust services which are still reasonably affordable. All of these options are easy to use, and the most expensive plan among them is $12 a month – so there’s really very little excuse not to protect yourself using a VPN service. Obviously, combining Strategy #1 with either Strategy #2 or #3 will provide the best internet privacy protection, but it’s important to remember that no solution is perfect, and your privacy is always under increasing threat from government surveillance as well as private companies and even hackers. 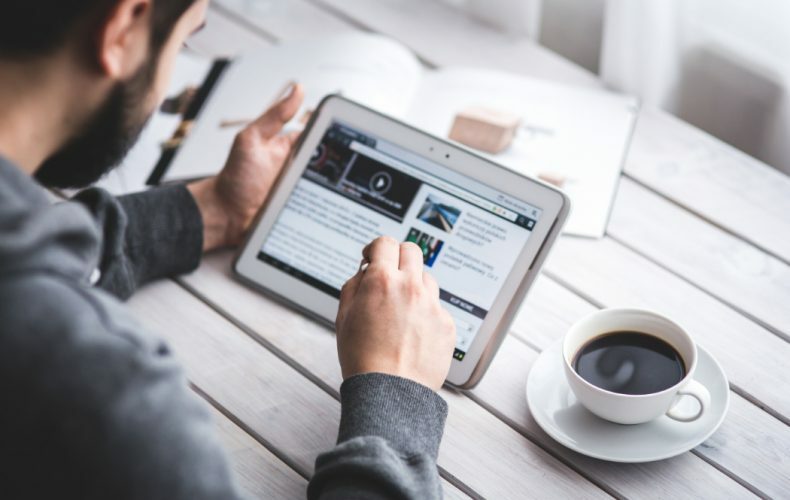 Although internet privacy is a less intriguing topic to most people than the topics making sensational headlines, it’s important to keep yourself informed about legislation and technology, both of which are constantly evolving. Do you have another strategy to protect your internet privacy? Share it in the comments! Yesterday I raised Bijou’s prices. 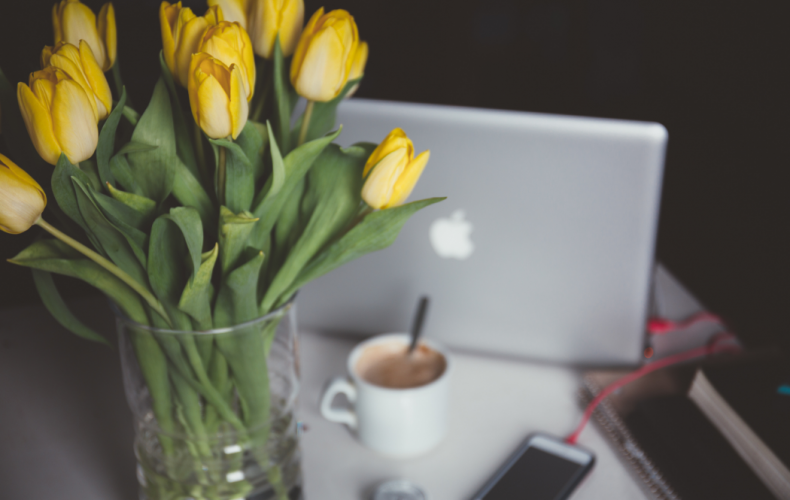 12 pages of writing or editing is no longer $1,497 – it’s now $1,500! A standard five-page WordPress website is no longer $1,997 – it’s a cool $2,000! 20 hours of social media & newsletter support used to cost you $749 per month – but now you’re going to have to shell out a whopping $750 to engage Bijou for your communication needs! As you can see, my price hike was nothing dramatic, just a little tweak. Why yes – yes it does. And I don’t care one whit. In fact, I made these price changes specifically because it flies in the face of “all the marketing advice” – not in spite of that fact. Wanna know why? Well, I have a couple of reasons. Firstly, if a client is really so “on the fence” about engaging Bijou that a $3 reduction in price is enough to tip the balance in favor of working with us, frankly I don’t want them as a client. Our clients are smart (too smart to be swayed by numeric bait), they know what they want, and they’re ready to make an investment. If we have to twist someone’s arm into working with us, how is it serving the highest good for any of us if Bijou pursues that kind of business relationship? Secondly – and this is directly building on the first reason – I’m just sick to death of marketing gimmicks. I mean, you’re way too smart for these shenanigans, aren’t you? Except, if I’m going to be totally honest with myself here, I wouldn’t be changing my prices right now if I hadn’t fallen prey to gimmicky pricing advice in the first place. Oh fwack! Isn’t it annoying when the truth smacks you right in the face? That’s one of the big reasons I am writing this blog post – not to announce the price hikes that almost certainly would have slid right under everyone’s radar, but to point out how insidious “manipulative” thinking is – so much so, that even a person who is specifically building a business to help others develop integrity in their business practices, still managed to be unconscious of how gimmicky one of her own business practices actually was. GAH! Be gentle with yourself! Unwinding your brain from the perilous net of manipulative business norms is going to take time – and (re)building your business with integrity will always be a process. If and when you – like me – think you’ve got it dialed, but then you stumble into the discovery that something you’ve been doing is out of alignment with your highest intentions, there’s no need to feel shame. Instead, why not feel excitement? Now that your attention has been drawn to this new discovery, there’s one more area of your business you have the opportunity bring into alignment, one more way you can now be standing in integrity. I am excited to announce one of the newest features we will be unveiling in the new year: a podcast series featuring some of the amazing changemakers we’ve had the privilege of knowing and serving here at Bijou Collective. Whether artists, activists, thought leaders or social entrepreneurs, our lineup of interviews is sure to inspire you to lace up your boots, harness your passions and get to work. I can’t lie to you, 2017 is sure to be a wild year with a lot of hard work ahead – but that’s all the more reason why it’s crucial to build a community and support network for New Progressives. I hope the Bijou Podcast will play a role in keeping the wind in your sails and the fire in your heart. To tune into the podcast, check this space again in early 2017 – or better yet, make sure you’re signed up to receive your Love Letters, and you’ll be the first to know when the podcast goes live! The four online marketing trends you can’t afford to ignore in 2017 – explained! If you’ve been a bit startled by New Year marketing checklists filled with buzzwords and little strategic advice, you’ve come to the right place. Bijou Collective offers tangible business advice to passionate individuals, and we’re here to help you cut through all the clutter. In this article, we have selected the four major online trends that will help you stand out in 2017. Read on to discover the next steps to take to grow your business or organization. Video became a hot topic in 2015, and it really took center stage in 2016, with Facebook CEO Mark Zuckerberg announcing that “we see a world that is video first with video at the heart of all our apps and services” – an important announcement coming from the most frequented social network, and one of the most important websites on the Internet. This year, it is estimated that online video will account for 74% of all web traffic . In other words, if you want your message heard, you’ll need to use video to convey it to your audience. Your business therefore needs to get comfortable creating video content, and not just once a year. But the good news is that videos don’t all have to be artistic films professionally shot with an expensive camera. On social media, they are widely used to provide users with information in a condensed and engaging format; some contain mostly text, or still images. Many software programs – like Animoto or Biteable – allow you to create your own professional-looking videos without any technical knowledge. And with most smartphones now equipped with high quality cameras, it’s easy to snap a video to promote your business. And don’t forget that videos can be a great tool for SEO too: make sure to optimize the name of the video and its description as well as the text around it if you’re embedding the video on a website, and provide a transcript or subtitles. In response, marketers have to commit to creating meaningful content, instead of creating content for the sake of it. As the study conducted by Havas shows, brands need to step back from the content they create and ask themselves why they create content. Many brands see it as another way of entertaining consumers, but for many consumers content is an opportunity to get educated about a company’s ethos, operations, products and more. Content also needs to be more approachable. Many companies use content as a way to lure in customers and get them to scroll through layers an irrelevant blog post or click on several links. Marketers should focus their energy on creating high quality content that will make visitors want to come back for more, instead of forcing them to subscribe to a newsletter or to leave their contact details. As more and more content is produced, companies will have to focus on quality, rather than quantity, to get noticed, remembered and trusted. 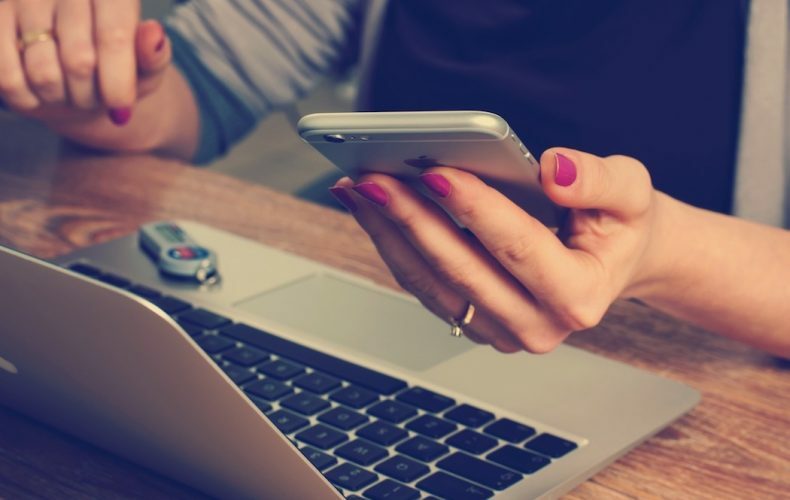 Mobile has been on every marketer’s mind since February 2015, when Google announced an upcoming update to its algorithm that would give priority to mobile-friendly websites. While it “only” accounted for 35% of global web traffic back then, mobile traffic now accounts for just over half of all web traffic, with a 30 percent increase year-on-year. It is therefore crucial that your website should work well on mobile. And that doesn’t just mean having a sleek design and a hamburger menu: mobile-first design focuses on the mobile user experience as a whole, improving readability and loading time. A responsive website not only improves your SEO, it adapts entirely to the device to make the customer experience seamless. Moreover, mobile-first design easily fits in with the minimalist web design trend that has grown over the years. The two keywords you should keep in mind are : seamless experience. Echoing point 2 about high quality content is the ever-growing search for authenticity. In terms of content, authenticity translates as providing genuine, honest information that truly relates to your business, as well as replacing cringe-worthy, stereotypical stock photos with original pictures and adding more identity to your web design. In the Information Age, authenticity goes hand in hand with transparency. Be open about who you are and what your company stands for, and make that information easily available. Small companies can use their websites to showcase their crafts (using videos, photos, infographics or beautifully-written text) and break down the walls between their customers and themselves. If there’s anything you’re not comfortable sharing, try changing it rather than hiding it: if you lie about something, it will come back to haunt you sooner or later. Honesty, accountability and open-mindedness are important for today’s consumers. Don’t fake it: remember to be real, consistent and ethical. Communicate with your customers, be ready to answer their questions and take notes of their suggestions. See criticism as something positive that will help you tailor your business to your customer’s desires and expectations. so make it possible for them to interact with you and seek their advice to help you grow, and you will be rewarded with a faithful base of customers who think – and talk – highly of you. Is a social publishing tool the right investment for your business? Social publishing tools seem to be a must for any company that is serious about distributing its content on social networks. There is no denying that automation makes life much easier for social media managers and executives, but what about the downsides? Let’s look at the pros and cons of using a social publishing tool and review some of the most popular ones on the market. With the help of a social publishing tool, you can publish content on your various social media channels from a single platform. This makes it much more practical than having to log onto each individual website, and also allows you to see your different feeds, notifications and statistics in a single location. This means that you can publish content at the best possible time – when your audience is online and scrolling through their feed – without having to be at your desk or even logged in to your account, and easily reach out to audiences on a different time zone. Many applications even suggest the best time to post based on when your followers are most engaged. It makes your life easier, and your posts more effective. Publishing tools make it simple to organize and schedule content to make sure that you’re posting regularly and have enough posts scheduled to keep you going for a few days (or weeks). Regularly publishing quality content will help establish your reputation as an expert and generate more trust in your business. But as great as these benefits are, there can be some downsides to using social publishing tools, especially as marketers tend to rely on them too heavily. If you run a small business, you might not actually publish that much content every day, have a presence on twelve different social networks or an international audience to talk to. If that’s the case, you can probably handle posting from each site individually. You can organize your upcoming content just as well by creating a content calendar in a Google spreadsheet, and that will not cost you a dime. Sophisticated publishing tools can cost up to $500 a month for a small team so it’s worth considering whether you actually need one before committing. If you’re happy to have all your content automatically published and aren’t actually following the conversations on social networks, you’re missing out on opportunities to engage with your audience and community in a more genuine way. Providing quality content to your customers is good, responding to what they are saying is better. You might also be missing trending topics that you could take advantage of by sharing relevant content and using a popular hashtag, allowing you to widen your potential audience. If you’re using a publishing tool, you’ll have to keep up with the news to make sure your scheduled content isn’t going to sound inappropriate. After a dramatic news event, for instance, it may not be appropriate to promote your webinar, or your “inspirational quote” may appear to be in bad taste. You’ll need to be quick to react to delete your automated posts if you don’t want to sound insensitive. 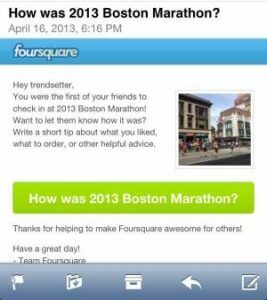 Take, for example, Foursquare’s famous faux pas after the 2013 Boston Marathon: they had queued up a post to be automatically published after the race, asking users how the event was. When the bombing happened, they were not quick enough to pull down the message, and it was pushed out to Foursquare users who had checked in at the marathon. Although companies can always apologize for communications mistakes, in situations like this, an ounce of prevention is worth a pound of cure. If you decide to use a paid publishing tool, here’s what you should know about the most popular social publishing platforms. Buffer lets you schedule and monitor your content across various platforms (including Instagram and Pinterest) and boasts a very user-friendly interface. With premium plans starting at $10/month for one or $99 for a team of five, it’s a very solid standard publishing platform but doesn’t provide many extra features. Hootsuite’s layout can be a bit difficult to navigate at times, but it offers a wealth of features, especially in terms of analytics. Paid plans start at $19.99/month for single professionals, $49.99 for a team of three or $99.99 for five. Edgar is a very useful tool, allowing you to organize your content by category (blog posts, quotes, etc.) and recycling your “old” content when you run out, making sure that your social channels never go silent, and saving you precious time. However, Edgar only works with Facebook, Twitter and LinkedIn and is pricier than some of its competitors, with plans starting at $49.99 a month. A good solution for mid-size or larger businesses with high volumes of evergreen content looking to save a lot of time. Recently released SmarterQueue lets you categorize and recycle your content, like MeetEdgar, and offers an impressive list of features, including analytics, visual calendar and bitly link shortening. They offer a Solo plan at $19.99, a Business plan at $39.99 and an agency plan at $79.99, but you can also choose the Custom plan (starting at $19.99) and decide how many daily posts, categories and queued posts you need. Finally, SproutSocial has a very user-friendly interface and allows you to schedule, monitor and analyze your activity on Facebook, Twitter, Instagram, LinkedIn and Google+. SproutSocial also boasts a great reporting dashboard with colorful charts and graphs to help you track your progress, and is a fantastic platform for teams. The main downside is its price – the Team plan for 3 users is $500 a month – but the Deluxe version at $59 per user offers all of the standard features. With pictures being so easy to share on the Internet, many people don’t think twice about the way they use other people’s work, let alone credit them. While this is just about forgivable for students putting together a presentation, it is an absolute faux-pas for professionals using images to illustrate their website. Following our guide to correct image attribution will help you avoid making a mistake. HOW RISKY IS IT TO USE AN IMAGE WITHOUT PERMISSION? Just because it’s on Google doesn’t mean you can use it. Plagiarism laws also protect people’s work online, including images, and using someone’s image online without their consent is theft. Photographers and illustrators who have had enough of seeing their work being used by someone else without permission are trying to fight back. They could contact you to ask you to credit them or remove the image, get in touch with your web host and get them to remove the image, or take you to court. It’s also worth noting that Pinterest takes Flickr’s rights attributions very seriously, so if you embed an “all rights reserved” image in a web page, it won’t pull through to Pinterest. If you’re using Flickr as your image manager and embedding on your own website, and you want people to be able to pin your content, be sure to change your usage rights to one of the Creative Commons licenses. HOW CAN YOU CREDIT AN IMAGE’S AUTHOR? Short of contacting the author to ask for their permission, you can use a Creative Commons license. Creative Commons licenses make it easy to find online resources – not only images but also videos and sounds – that you can use and reuse in all legitimacy. Works that are licensed under a Creative Commons license (look for the “cc” logo) can legally be used, but you still have to provide attribution. This is the simplest attribution as you can use the work in any way you like. The author only requires that you credit them the way they request, without any suggestion that they are endorsing you or the use you’re making of the image. If you want to be able to use the image without crediting the author, you’ll need to get their permissions first. Images under a BY-SA license can be copied, distributed, displayed and modified only as long as you are distributing the modified work on the same terms. You can copy, distribute or display only original copies of the image. If you want to modify the image, you’ll need to get the author’s permission. This license means that you can modify and build upon the image but cannot use it commercially. Your new work must acknowledge the original author but the derivative works don’t have to be licensed on the same terms. The image can be modified and build upon but cannot be used commercially. You have to credit the original author and license new creations under the exact same terms. This is the most restrictive license, allowing you to share an image if you credit the author, but depriving you of any right to change the image in any way or to use it commercially. WHAT IS THE ETIQUETTE AROUND IMAGE ATTRIBUTION? Ideally, you should mention the title of the image, its author (with a link to their profile on the platform where you found the picture), the image source (the original page on the platform) and the license used. You’re still doing a good job if you don’t provide the title or a link to the author’s profile but still link to the original picture and mention the license. If you’re only crediting Creative Commons or the website where you found the image, it’s not a correct attribution. Take a look at Creative Commons’ detailed guide on correct attribution for a full list of what to do and what to avoid. WHERE CAN YOU FIND FREE STOCK IMAGES? 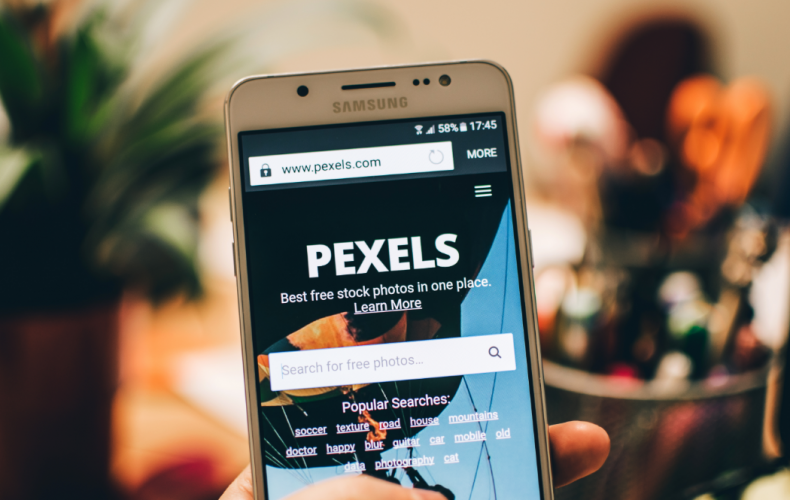 Pexels: with thousands of beautiful images uploaded by talent photographers all around the world, Pexels is one of the most popular free stock photo websites out there. You can even do a color search to find images that will complement your website’s colors. All the images on Pexels are attribution-free. Unsplash, like Pexels, offers thousands of gorgeous high-resolution photographs that you can use for free. Use the search bar or browse the collections organized around a specific theme such as workspaces, pastel or minimalism. All the images on Unsplash are attribution-free, but attribution is encouraged to help the photographers gain recognition. Nomad Pictures‘ website is full of stunning copyright-free pictures available free of charge. You can also take a look at their premium packs if you want to support their work or find an image that no-one else is using. Create Her Stock boasts over 1,300 images curated for female creatives, entrepreneurs, and influencers of color. All you have to do is enter your email address to access the free gallery, or create an account to go premium and enjoy unlimited downloads and special promotions. Burst is a free stock photo site powered by Shopify to help designers, developers, bloggers and entrepreneurs create dazzling websites. You’ll also find whole collections available to download from their Business Idea section to help you kickstart your online selling business, with bonus advice on how to build your brand. Pixabay is a great resource to find not only photos but also vector graphics and videos that you can use for free. Pixabay isn’t 100% copyright-free, however, so make sure to double check how each image is licensed before use. Everystockphoto is a search engine for free photos sourced all over the web. Like Pixabay, Everystockphoto isn’t copyright-free but you can filter your search by type of license in the advanced search settings. Flickr is an amazing photography resource and lets you filter search results by license type. If you’re not looking for images to use commercially or to modify, you can either select “All Creative Commons” or “No known copyright restrictions.” If applicable, make sure you’re crediting the author as requested, if applicable. Even Google makes it easy to find pictures you can use for free: simply click on “tools” when searching for an image, and filter the results by usage rights. If you’re just looking for an image to illustrate your website that you don’t wish to modify, you can choose the filter “labeled for noncommercial reuse”. Be sure to click-through to the source site to see whether and how the author wants to be credited. Finally, there is a non-exhaustive list of websites licensing images under the Creative Commons licenses available on CC’s own website.